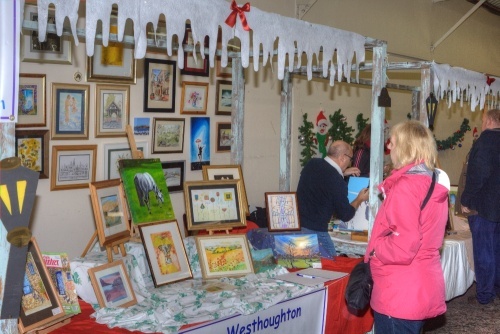 Westhoughton Community Network meets quarterly at venues around Westhoughton, bringing together local voluntary groups and organisations, raising awareness of the wide variety of activities in the town. Now in our 8th year, the inaugural forum meeting took place on 9th August 2011 at Brookfield Hall with groups taking part in the establishment of the community network. You can read more on the background, beginnings and activities of WCN >>> here. Our next WCN meeting will take place mid May. 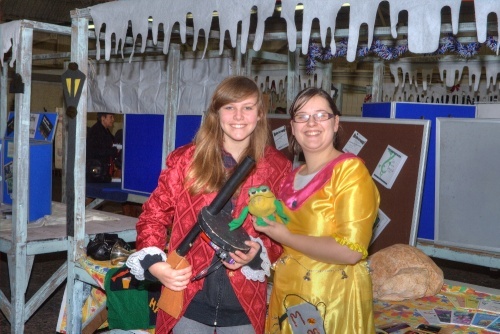 Keep up to date with community events taking place throughout the year: Fayres | Calendar. 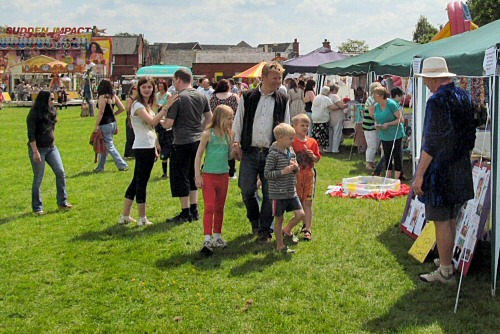 In its early days of Westhoughton Community Network, led by a sub-committee looking at group participation, promotion, on-the-day activities and entertainment, and feeding back to the main group, 2012 saw two Community Fayres bringing together groups at public events held at Westhoughton Market - the inaugural event on 21st April and a second on 24th November. 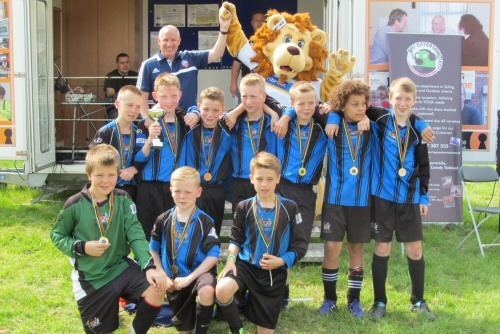 The following year a third event took place took place, Sunday, 2nd June at Westhoughton College as part of the W.A.C.O. 'It's-A-Knockout event.' 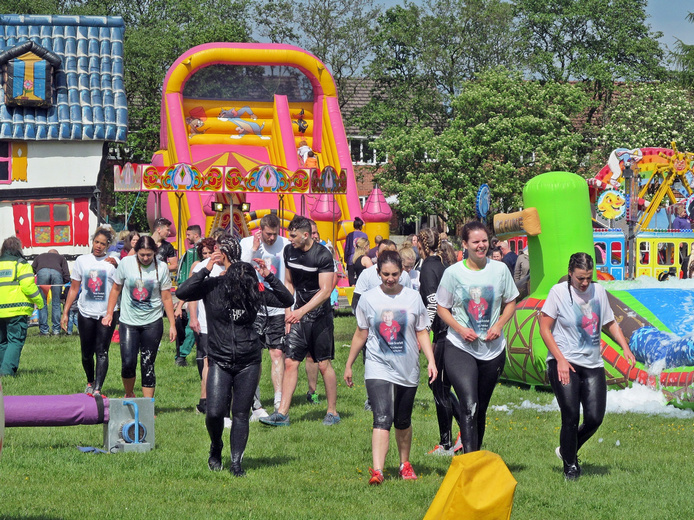 In 2014, the Big Fun Day took place up at Central Drive on Sunday, 1st June as part of an event involving Westhoughton College and led by Hope Church, who run the Hope (Community) Centre. And since then most of the large community events will have had a WCN involvement and will have brought in our community groups. The summer of 2015 saw a brand new event launched to add a splash of colour and fun to the town centre, the 'Westhoughton Yarn Bombing Festival', led by Rainbow Crafts, which place over the weekend of 4th/5th July. A tremendous success and showcase for the community - a credit to organisers and all those involved in knitting the excellent yarn displays. Some great entertainment too from local talent. 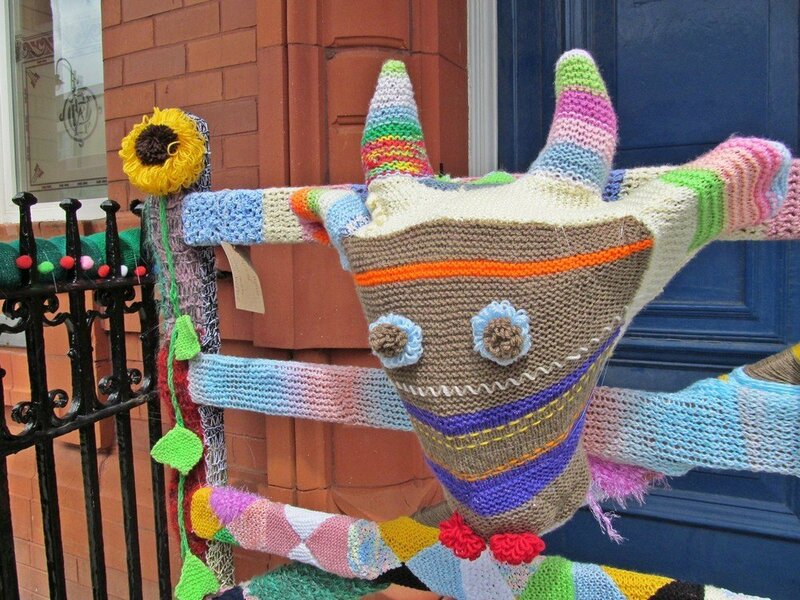 A second Westhoughton Yarn Bombing Festival took place over the weekend of 2nd & 3rd July 2016. 2016 also saw the return of the popular W.A.C.O. 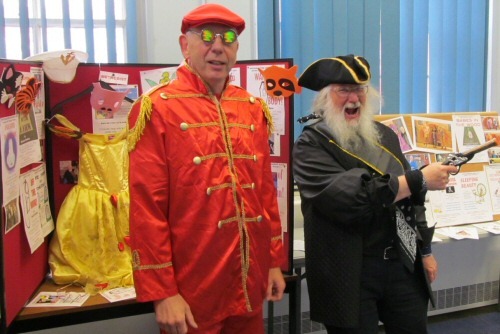 event on Sunday, 22nd May, this time raising money to support the Westhoughton Youth Project and local groups, with a madcap team event, attractions, and community involvement. 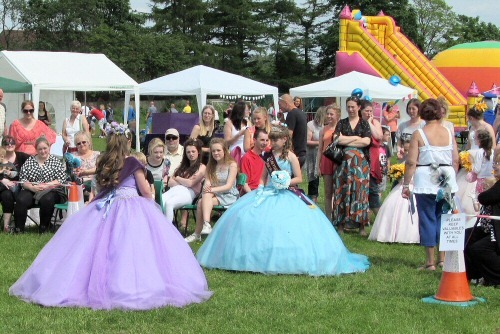 The event was even bigger when it returned 2017 (late May Bank Holiday), with many thousands turning up to see this mix of competition, attractions, entertainment and community stalls . The late Spring and Summer period always have a wide range of community events; Public Events, School Fayres, Fundays - including the return of the Yarn Bombing event - 2018 will be no exception. Watch out for details here on WCN (Fayres). The strength of WCN is that we are seeing more and more co-operation between groups to help, support and work together on events and activities. Groups coming together for events whether WCN-led or piggy-backing on group-led events, giving a sense of community, friendship and belonging. The tradition of the Westhoughton Carnival living on in new forms. It is pleasing to see the influence of WCN spreading beyond Westhoughton with the rise of local community group networks around Bolton raising awareness of what is going on locally. 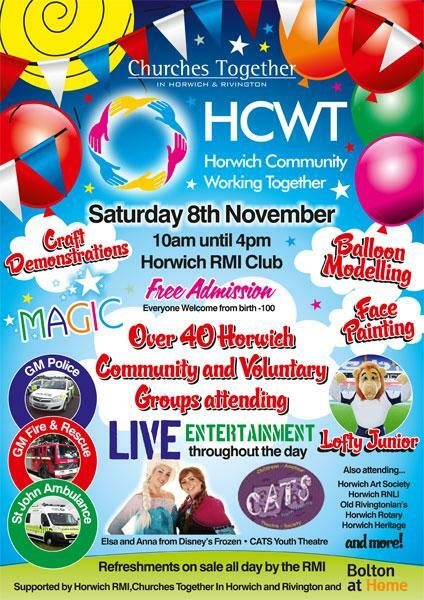 In late 2014, near neighbour Horwich had a very successful first event, bringing together some 40 groups and organisations Horwich Community Working Together flyer; and more recently a move to establish a community network in the town. Around Bolton there are fledgling networks emerging as the local council seeks to encourage community engagement. In our 6th year, we are happy to talk about our experience with other groups and networks. 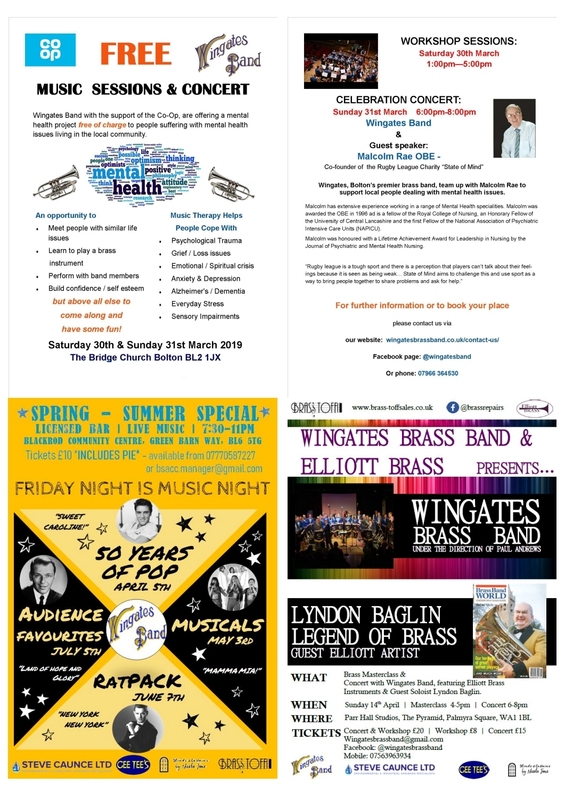 One of the goals of WCN is to promote, support & share info about community groups in Westhoughton, providing information about activities, things of interest and events, as well as providing a point of contact. It has become a useful and important resource not just for local residents but for many bodies and organisations serving the community here in Westhoughton. First set up in 2012, the website had 1,800 visitors, in 2017 there were 15,341 unique visitors (+23% on 2016), with 68,098 pages of information viewed (+23%), and 293,729 'search' hits (up 5% on 2016); the data consumed (bandwidth) would fill over 5 DVDs or 30 CDs. Whilst those who attend our quarterly meetings are relatively few - limited to community leaders active and running the many groups in the town - information such as meeting minutes reaches far and wide through their availability online, with other media outlets making use of the information. The most visited web content in 2017 were Westhoughton Library; Friends of Eatock Lodge; the W.A.C.O. It's A Knockout event; Women of Westhoughton (WOW); Senior Solutions; The George Formby Society, with a healthy representation across all groups in the 2017 statistics; the WCN website often complimenting individual websites and social media such as Facebook. The success and interest in WCN is a testament to the community spirit in Westhoughton and good work done across the town by committed individuals and groups of people coming together to help, support and get things done. 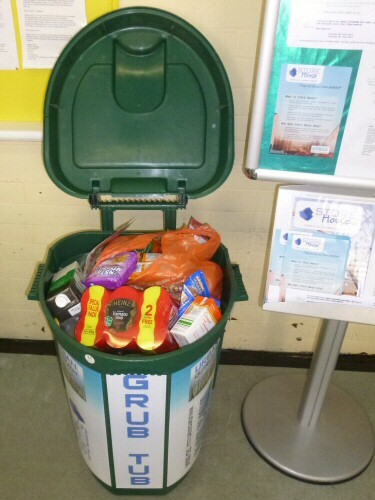 As a result of our groups both coming together and identifying a cause to get behind, Westhoughton Community Network has teamed up with Urban Outreach (Bolton) on an initiative to pool resources and work together to put in place a system to collect and then distribute food to the needy in our community; the aim, with the help of volunteers, is to develop a network of collection points around Westhoughton using Community Centres, Churches, Schools… A sub-committee formed, and as a result a number of donation and collection points have been established. More information here.